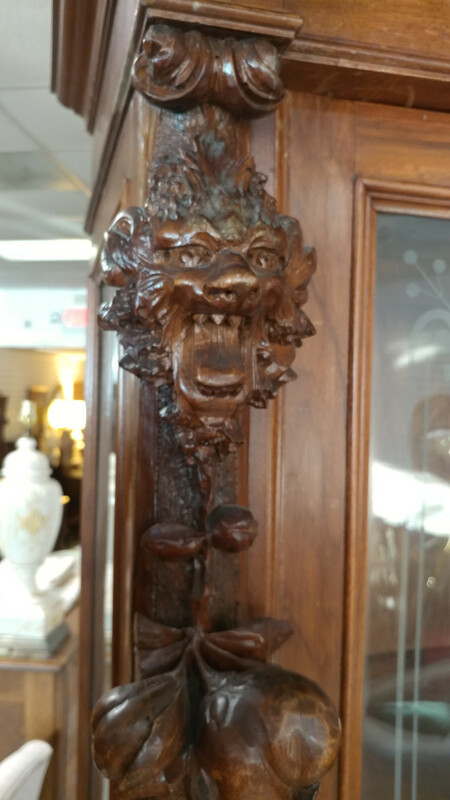 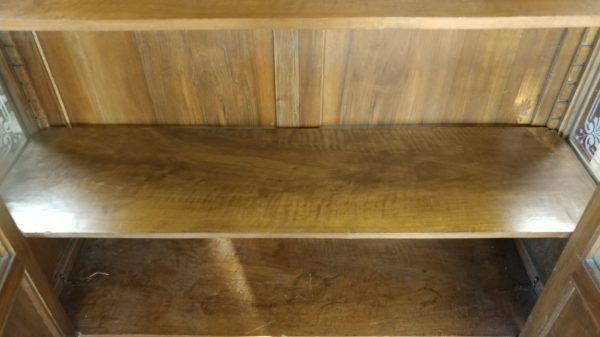 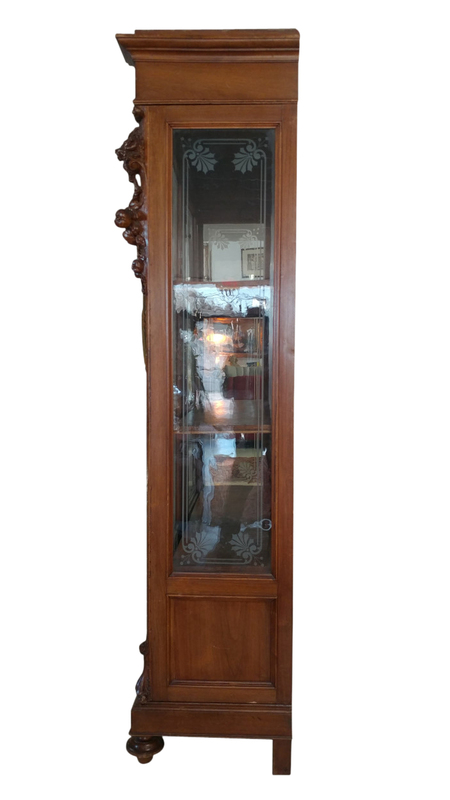 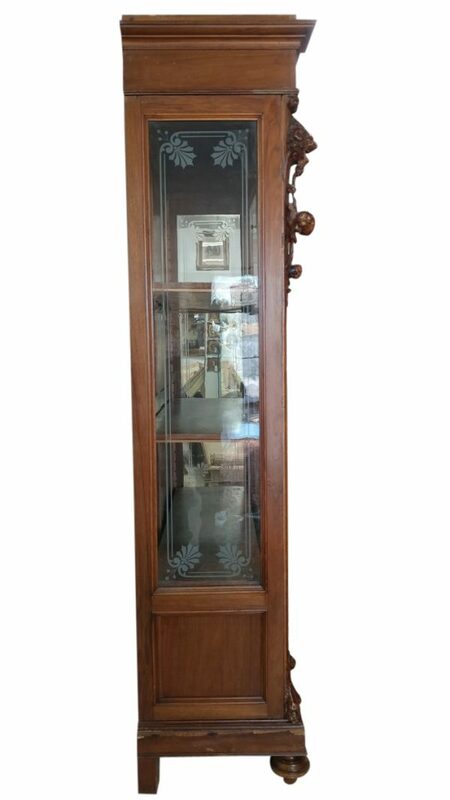 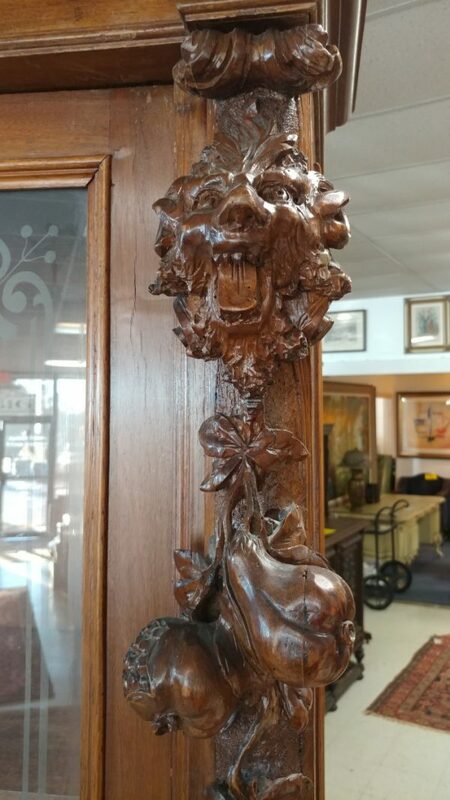 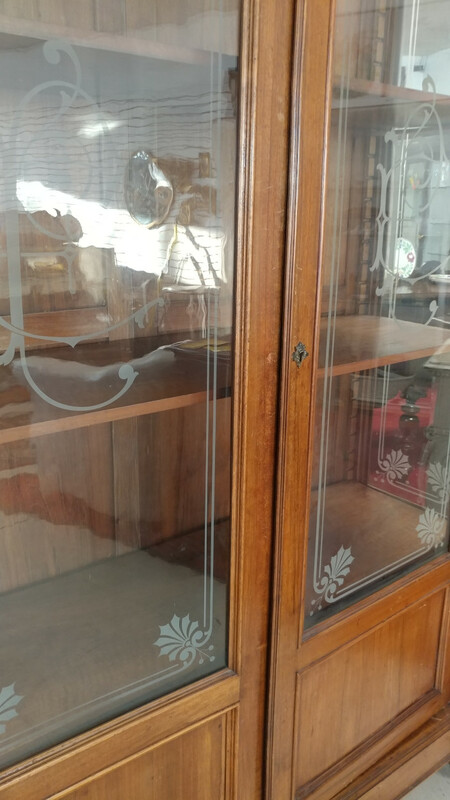 Gorgeous Flemish, Renaissance style vitrine, Solid Walnut, Etched glass fronts and sides, Ornate carved crown (part is missing), Fruit carved accents along front top on either side, Glass front doors open up to 3 adjustable shelves, Turned feet, Lots of storage. 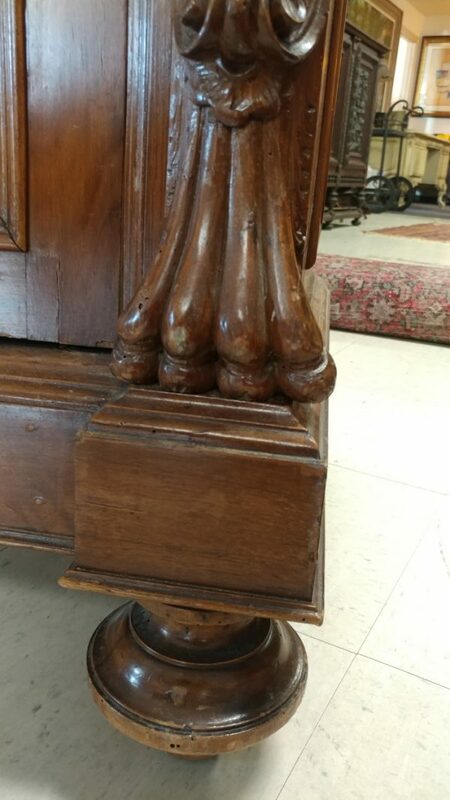 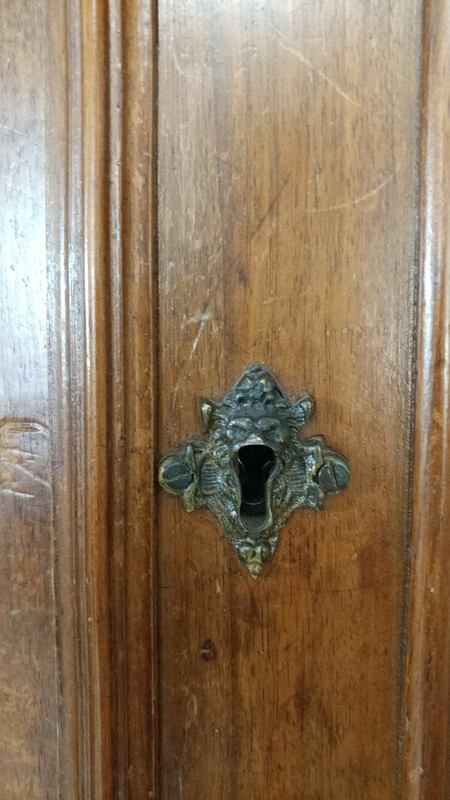 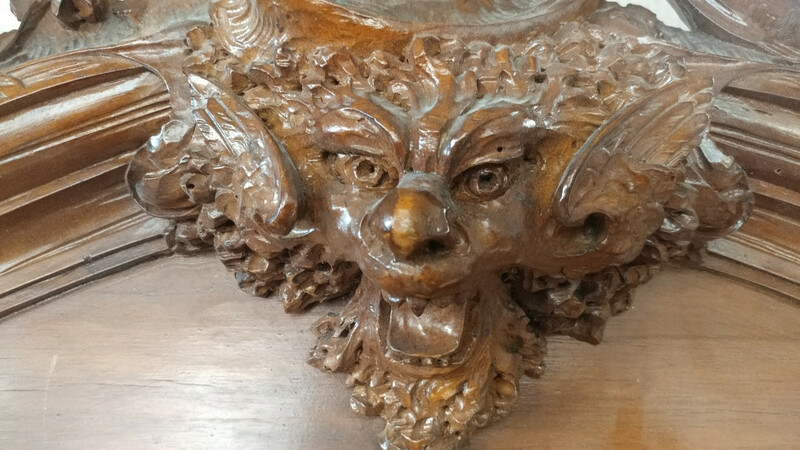 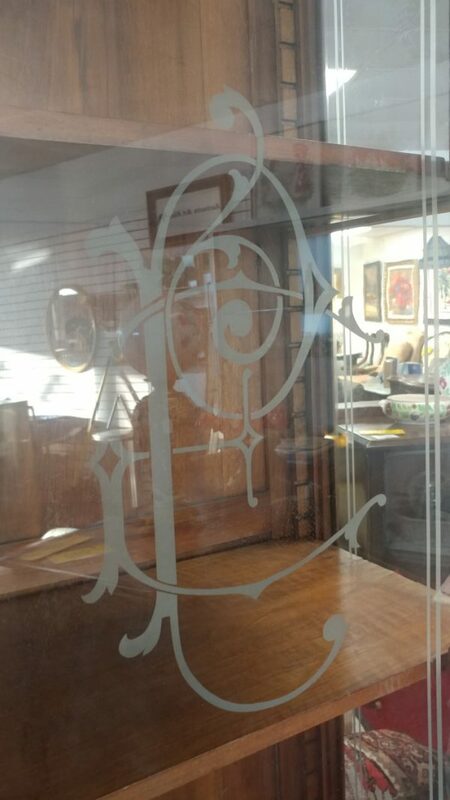 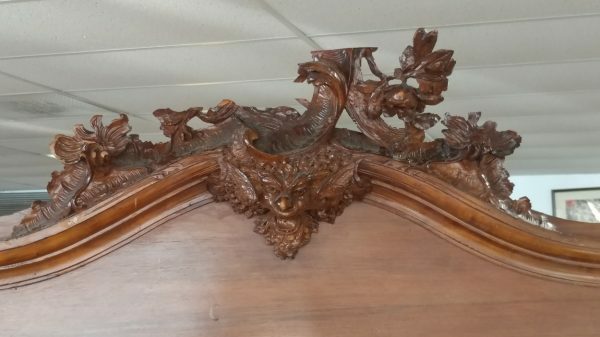 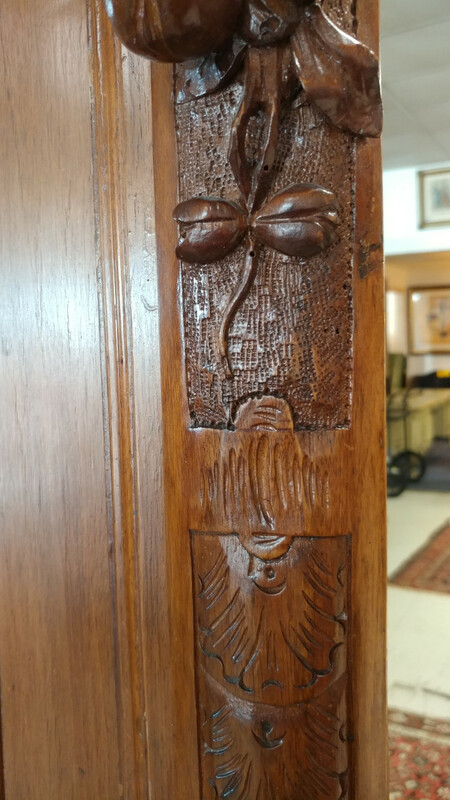 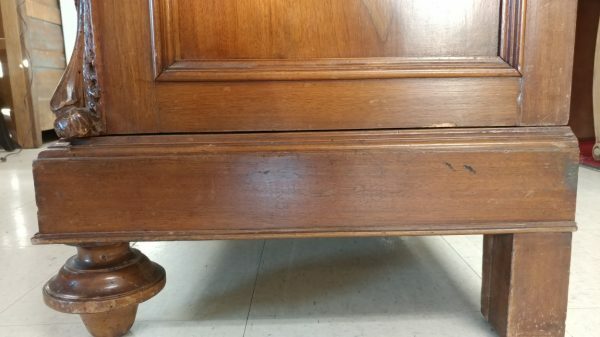 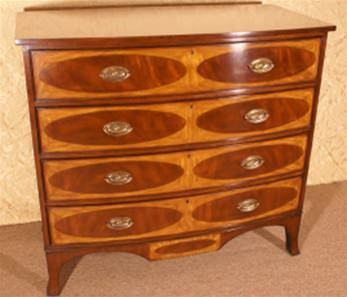 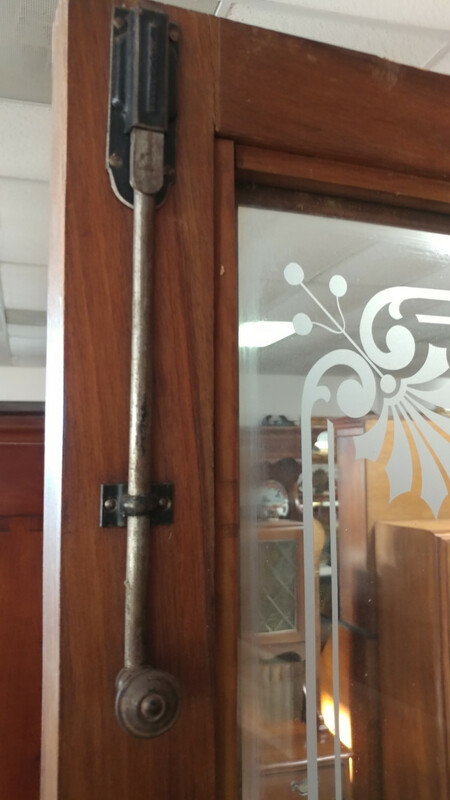 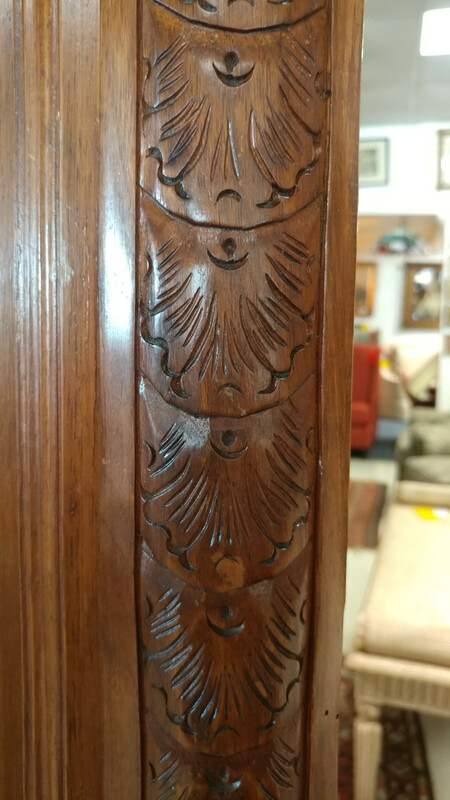 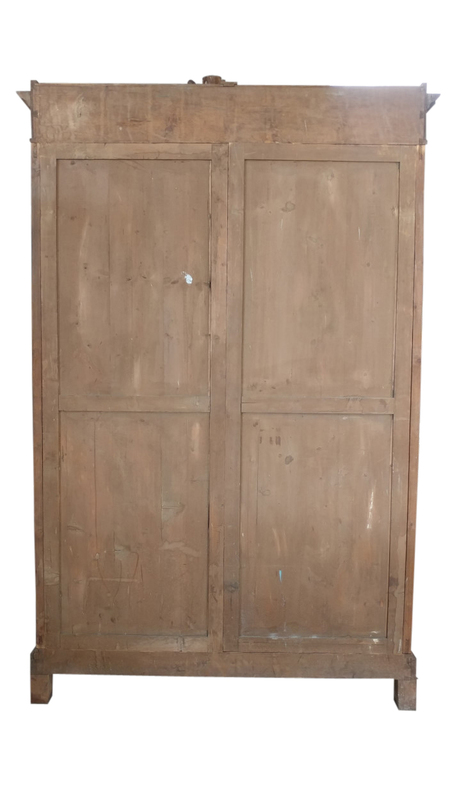 Very good condition, doors have a bit of resistance but in great antique condition overall. 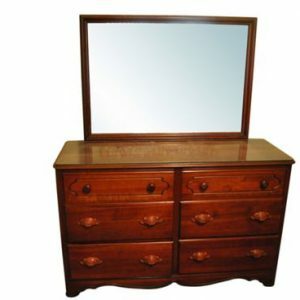 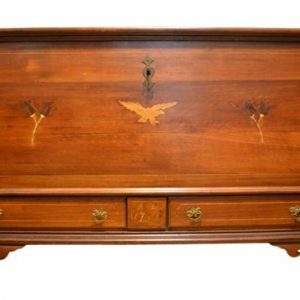 Measures: 21″D x 59.5″W x 99.5″H (8ft 3in). 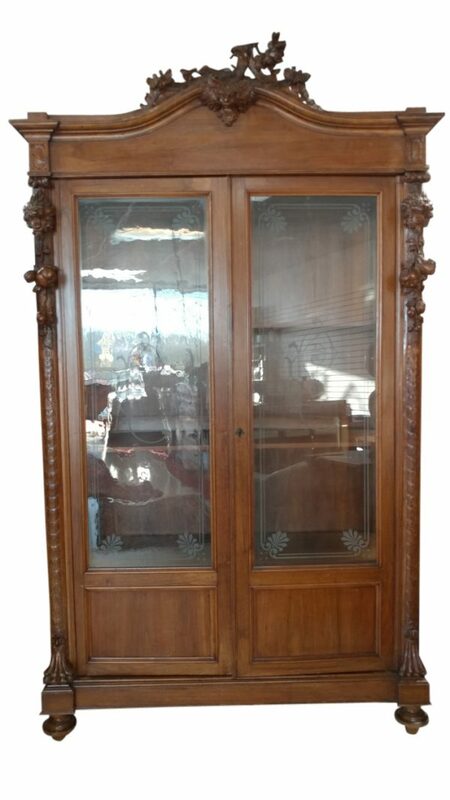 Very good condition, doors have a bit of resistance but in great antique condition overall. 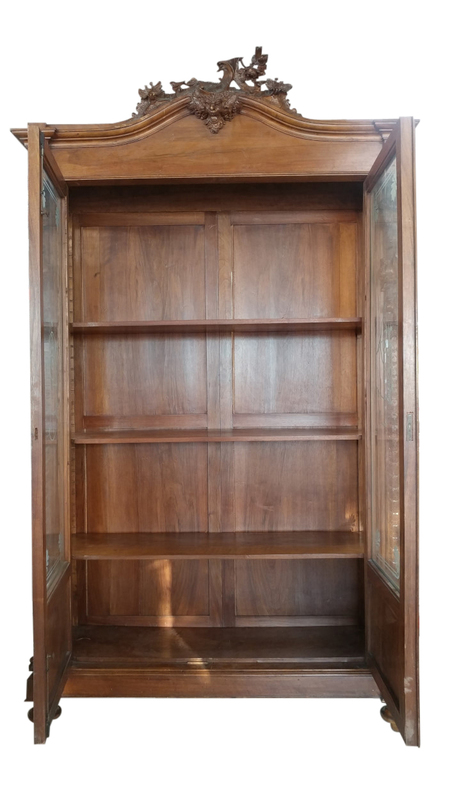 Measures: 21"D x 59.5"W x 99.5"H (8ft 3in).